Capture; document and share your memories in a snap! It's easy with our snappy album and pocket page system! The pocket pages fit most standard 3-ring albums; have standard three-hole spacing; have seamless edge construction and are made of ultra-thick heavy weight clear polypropylene material. One 13x13 inch pocket pages that will fit in a 12x12 inch binder. 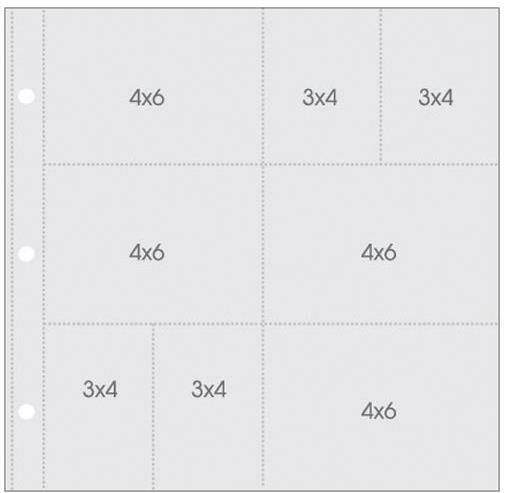 Pages will fit four 4x6 inch horizontal photos and four 3x4 inch vertical photos.